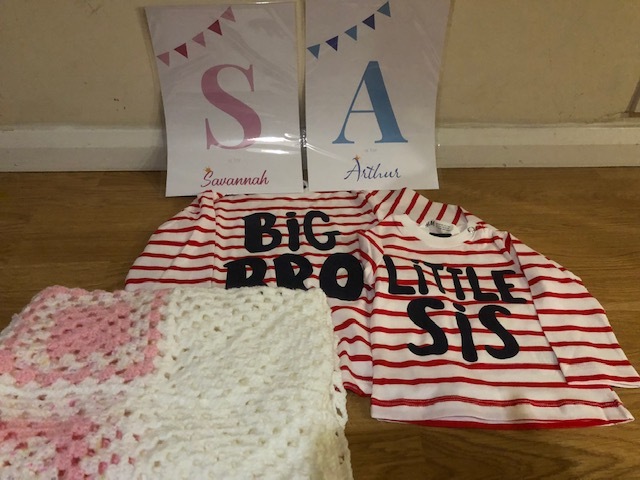 Savannah King was born on Sunday 4th November to mum Gemma, dad Peter and older brother Arthur – and we can’t wait to meet her! To congratulate the new family, we have sent a beautiful bouquet of flowers and t-shirts for Arthur and Savannah. And our hire desk controller, Suzie made these personalised posters and general manager, Maria crocheted this lovely pink baby blanket. We’re over the moon for Peter, and we hope you join all the team at Trackway Solutions and Generator Power in sending our best wishes to him and his family.